Thank goodness for days off! I really wanted to play in the Flourishes Twinchie release challenge. Have you seen the sneak peeks??!! Oh my! Wish I could make it to the release party tonight on SCS, but I'll be busy hanging out w/ family and friends. 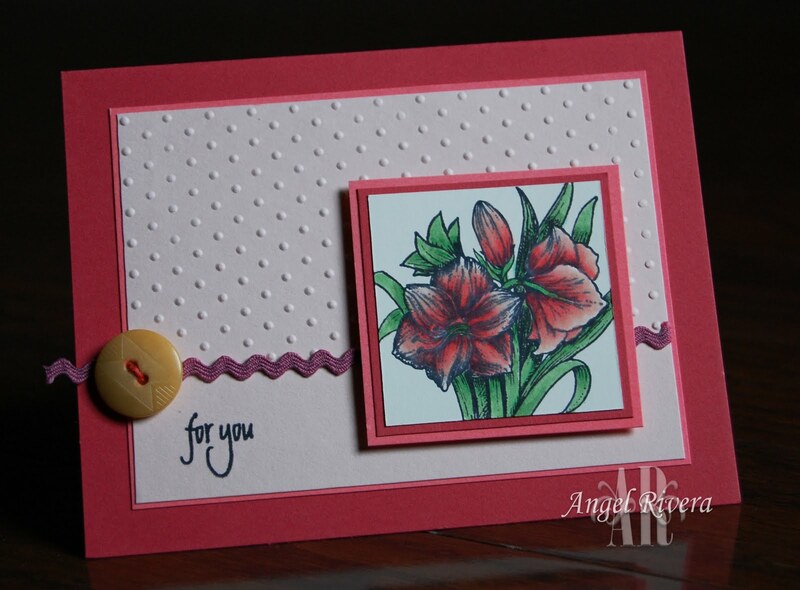 So, for this card I used one of the year of flowers sets, #3, I believe. Perfect size stamps for a twinchie - a 2x2 piece of artwork, in case you didn't know! :) I used my SU markers to color the image. The ric rac was white so I colored it w/ my ruby marker. Added a caramel colored button w/ some thread (again, colored w/ a marker to match) to finish it off. 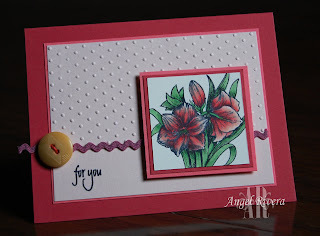 The colors came from this weeks' color challenge on SCS - blush, ruby and cameo. Had to add green for the leaves, of course. For those of you who still swing by here every now and then, THANK YOU!!!!!!!!! !